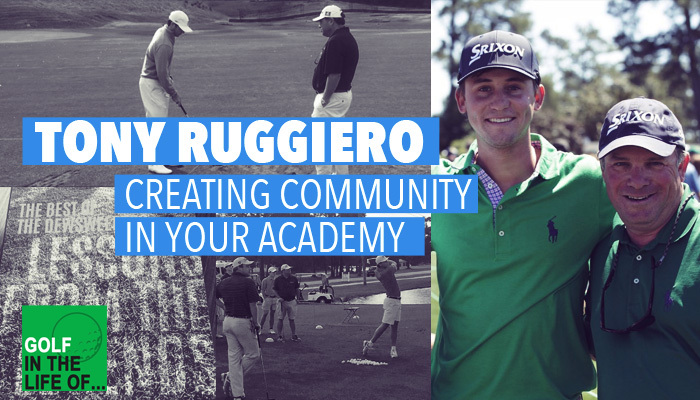 Tony Ruggiero (also known as the dewsweeper) has an amazing track record of developing incredible junior golfers. We learn how he does it and creates an amazing academy culture that encourages students to always be growing and getting better. We hear the entire process Tony goes through with juniors and what it might look like if you were a junior in the academy. One of the key aspects of the program is the quarterly “camps” that Tony runs. 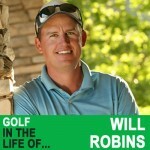 He shares how important those are (and fun) and what exactly happens during those. It’s awesome to hear the way he’s building a community of juniors and how that culture helps to push people farther and excel. 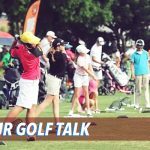 If you’re interested in creating a CULTURE of excellence with your junior golfers Tony shares the FIRST STEP you should take. Invaluable info and mindset from Tony. 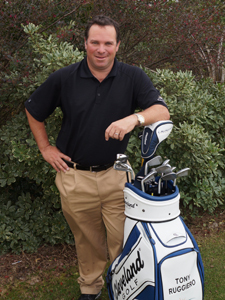 Recognized by Golf Digest as one of the top teachers in Alabama for 2015-2016, Tony Ruggiero is the Director of Instruction at the Country Club of Mobile, and also operates the Dewsweepers Golf School at Bay Point Golf & Tennis Club in Panama City Beach, Fla.
His students include PGA Tour and Web.com Tour professionals Smylie Kaufman, Lee Williams, Zach Sucher and Sam Love, as well as dozens of top college and junior players in the Southeast. He lives in Mobile, Ala.
Smylie Kaufman wins on the Web.com Tour earns his PGA Tour Card and Wins his first PGA Tour event at the 2015 Shriners Hospitals Open in 2015! Smylie Kaufman wins the 2015 Shriners Hospital Open in Las Vegas. Robby Shelton was the number one ranked junior player in the world before going to Alabama. 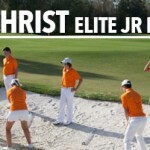 Now the number 3 ranked Amateur in the world. Three players in the 2014 US Open: Smylie Kaufman and Sam Love made their professional debut, andRobby Shelton. Tony appeared with Michael Breed on the tee at the US Open. PGA Tour Players Lee Williams and Smylie Kaufman. Web.com Tour and Professional Players Sam Love, Wilson McDonald, Zack Sucher, Champions Tour Player and multiple PGA Tour winner Nolan Henke. Tony Works with former Alabama Golfer Hannah Collier who plays internationally, on the LPGA any Symmetra Tours. Notable Collegiate Players: Robby Shelton, Davis Riley, Tom Lovelady, Steven Setterstrom for Alabama. Ryan Benton of Auburn and Forrest Gamble of Ole Miss. Tony has been the host of the Dewsweepers Golf Show on Sirius/XM PGA tour radio as well as terrestrial radio stations throughout the South since 2007! 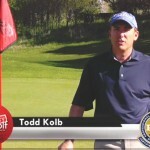 Tony has worked with Tom Kite and Milton native Boo Weekly; his students include players on the PGA Tour, Champions Tour, and top junior players. Tony was named Future Champions Top 25 Elite Junior Coach in USA (2016). Author of #1 New Release on Amazon: Lessons from the Legends: The Best of the Dewsweepers with Matt Rudy. 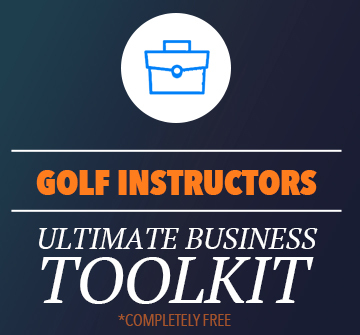 Named #2 Instructor in Alabama by Golf Digest Magazine in 2015! Bobby Wyatt was the number one ranked junior and amateur in the world as well as a standout on 2 National Championship Teams at Alabama. 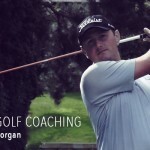 Bobby was ranked as high as number 1 in the AJGA Polo Rankings and continued his college golf career at The University of Alabama where he is currently the 6th ranked college player in the Country. Bobby has played in 5 PGA tour events. He recently carded a record setting 57 which broke all time scoring records and received national attention.